World climate leader Greta Thunberg calls for global panic. A call for action from this extraordinary young woman, showing leadership where so many others have failed. Greta Thunberg, only recently 16 years old yet leading the world by escalating the awareness of the climate emergency and demanding a meaningful response. A global crisis but one calling for a local response. It is clear our governments are paralyzed in the face of this challenge, absolutely unable to actually do anything seemingly other than water down agreements they still fail to fulfill. It takes a school pupil to point out that you cant teach science at school yet ignore what it is clearly telling us in the ‘real’ world. Bill McKibben, the founder of 350.org. When did the children become the adults? People over 50 might be able to push this reality into the backs of their minds, but from the perspective of a school leaver how else can you see the climate crisis? This is a problem that is not going to go away and needs to faced head on. Only mass civil action will dislodge the status quo and finally it feels like the momentum for change is really growing. 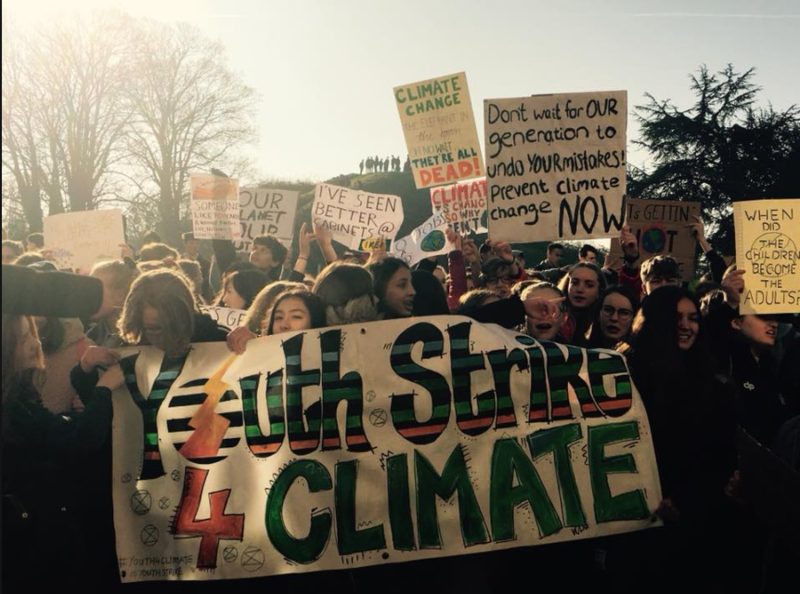 The Children’s strike for climate has shown that the will is there, especially from the ‘climate change’ generation of school kids faced with an otherwise incredibly bleak future. Join Sustainable Century Podcast host Marc de Sousa Shields as he speaks with Dr. Gail Bradbrook, who says non-violent confrontation with government and business may be the only way to force the change required to reverse the damage neo-liberal economic and failing democratic systems are wreaking on the world’s ecology. Dr.Bradbrook, co-founder of the Extinction Rebellion, believes that open rebellion may be our last chance of averting impending planetary ecological collapse. ER aims confront society with the messages we are choosing not to hear and soon will not be able to ignore. Climate change is here to stay and the movement which has gown rapidly from nowhere in just a few months forms an important strand in the bottom up response to the climate crisis. 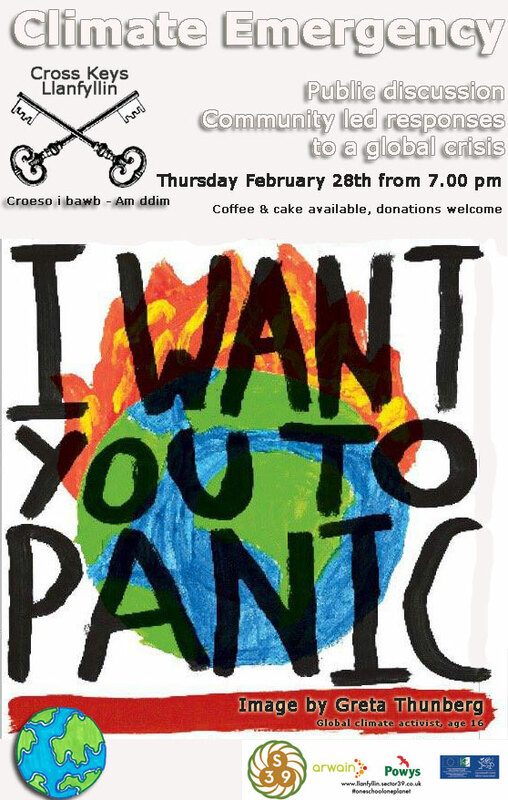 One School One Planet have initiated a series of pubic meetings in a local community space, the old Cross Keys pub on the high street of Llanfyllin. The intention is to begin the conversation every community should be having, how are we going to face up to this huge challenge? the One school One Planet proejct are also working with Llanfyllin high school to pilot how permaculture design and cliamte change action can be brought into the main curriculum. The meetings have gained momentum and the space is now being held by the participants who welcome new attendees. Key points for local action discussed so far are that we must focus on preserving biodiversity whilst building much stronger community links to enable co-ordinated actions to take place. We have been advised to look to make essential things more resilient, to relinquish what we recognise what is unsustainable and to revive past practices that cheap energy and easy transportation allowed us to forget. This community conversation is open to all, admission is free and coffee and cakes are served for donations. We are really grateful to Shan and Darren of the Cross Keys who donate the space for the meeting and work hard to make us welcome each time. Doors open 7 and formal stuff starts at 7.30, we finish at 9.00. Croeso i bawb!